During these days we remember the 80th anniversary of the great crime against our people – Holodomor of 1932-33. Ukrainian grain growers who over the centuries fostered love towards their nurturing earth and through the labor of their hands fed entire nations — suddenly found themselves totally deprived of bread. In one of the harvest years, when the Lord abundantly granted to Ukrainians the fruit of their own land, this bread was forcibly confiscated and sold, while the peasants, in waves of whole villages, were relegated to the so-called “black lists” – doomed to a slow and terrible death by hunger. 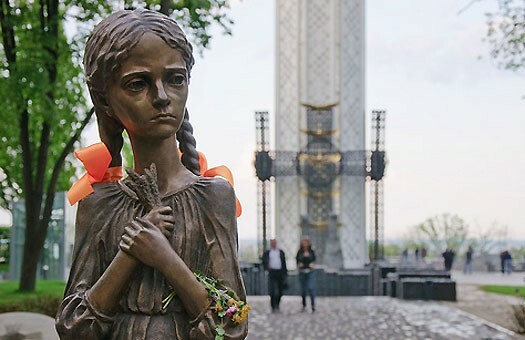 Therefore, the artificially engineered famine on the lands of the Breadbasket of Europe 80 years ago is recognized as the genocide of Ukrainians by many countries, and the memory of it evokes until now the echo of pain in the hearts of millions of people around the world. We, the children of the Ukrainian nation, in the native land and in places settled by us, feel this pain especially poignantly, since millions of our brothers and sisters of common ancestry were denied their right of life by the Stalin regime, followed by a Communist rule which during decades systematically and without pardon denied them the right to memory. At the hour of their death, they remained abandoned, they were not accompanied to their graves by mournful processions, and no one bade them farewell with the traditional “Vichnaya Pamiat” [Eternal Memory], a requiem prayer hymn. Yet, in the midst of the silent carelessness of the outside world, there was heard the decisive voice of the Church, which through its bishops, evoked the international community, to recognize that “Ukraine is in its pre-death spasms” and protested against the crime “at the sight of which the human nature becomes speechless and the blood freezes in the veins.” Metropolitan Andrey, together with all the bishops of our Church, in July 1933 appealed to all the faithful, “through prayer, fasting, all-national mourning, contributions and all possible good deeds of Christian life, to beseech the heavens for assistance” for their brothers and sisters who were dying in Great Ukraine. Today the voice of the emaciated millions of women and men, children and elderly, calls from the Ukrainian lands and invokes the conscience of our contemporaries, begging for memory, appealing for justice, mercy and love. These voices should be heard by both the successors of the victims as well as the successors of those who sold and bought the bread taken from them and with it, also their lives. To hear this voice means to pray and to atone for them. The Christian hymn Vichnaya Pamiat [Eternal Memory] is a declaration of faith that God is the One who remembers. He makes this memory eternal — His memory of every person is a guarantee of the memory having an eternal life. The Eternal Memory and the agony of the Creator Himself who in Christ – Jesus took on Himself the pain and the tears of the scorned and killed by hunger person, calls to us, Christians, in these sorrowful days to remember and to pray. We remember the Holodomor victims in order to cure our memory, to heal the wounds of the past, to counteract the repetition of similar crimes in the future and to free the contemporary person from the dangers of a people-hating ideology. May this Eternal Memory of God that we beseech in the memorial prayers, express itself in our living national memory about these tragic pages in the history of our native country. 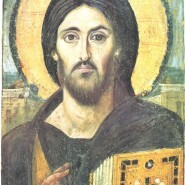 Thus, a concrete sign of this memory can become: sincere prayer for the repose of the innocently destroyed, the lighting of a memorial candle in the window of every Ukrainian family and, above all, the readiness of all Ukrainians to safeguard the poor and the forsaken, to protect the dignity of every human being, to build on the foundation of God’s life-giving commandments a more just society. Only under these circumstances can the memory about the tragic past become, according to the expression of Pope John Paul II, “the source of inspiration for the present and future generations.” (Letter on the occasion of the 70th anniversary of Holodomor). 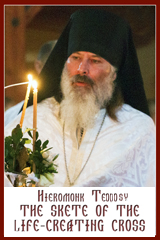 With these thoughts, uniting in prayer and sorrow during these memorial days with every Ukrainian soul, I delegate all priests to hold memorial services: on Saturday, November 23rd — a Divine Liturgy, and on Sunday, November 24th a Panakhyda [Requiem Service] for the repose of the souls of the innocently killed by the Holodomor. I also urge all UGCC faithful to light a memorial candle in their homes and to join in the memorial services and other commemorative community events. May the All-Merciful God, who is the only Giver of Life, receive in His Fatherly embrace the souls of our innocently killed brothers and sisters, and may He send us all His heavenly blessings!